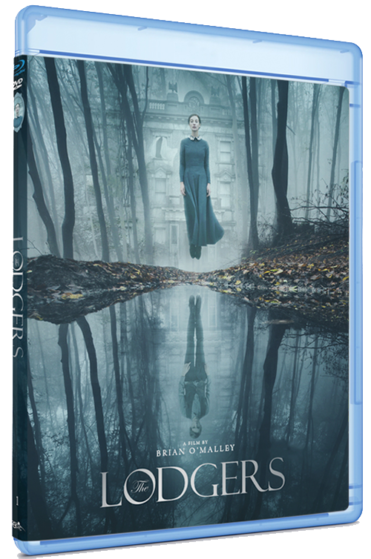 The Lodgers is a 2017 Gothic horror film directed by Brian O’Malley (Let Us Prey, Screwback, & Crossing Salween). Screenwriter David Turpin also did music for the feature. Filmed in one of Ireland’s most infamous haunted houses known as Loftus Hall. The Lodgers won for Best Actress & Best Special Effects at the Fancine Festival de Cine. The film won Best Visual Effects at the 15th Irish Film & Television Awards. It won the Jury Prize for Best Film at the Molins de Rei Horror Film Festival. It’s been nominated for Best International Film at the 2018 Saturn Awards. Set in 1920, Irish twins Rachel (played by: Charlotte Vega from American Assassin, [REC] 3: Genesis, The Refugees, & Provenance) & Edward (played by: Bill Milner from Son of Rambow, Is Anybody There?, Locke, & Dunkirk) share their big family estate that’s falling apart. They stay isolated from everyone else & only keep each other company. Their parents warned them about the 3 rules from The Lodgers before they died leaving the two kids alone at the cursed location. They must be in bed by midnight. They may not permit an outsider past the threshold. If one attempts to escape, the life of the other is placed in jeopardy. On their birthday the twins find out that their trust fund has ran out. Troubled war veteran Sean (played by: Eugene Simon from Game of Thrones, House of Anubis, & Eden) returns home after being handicapped & instantly notices Rachel at his family store. Bermingham (played by: David Bradley from Game of Thrones, Hot Fuzz, The World’s End, The Strain, & Harry Potter series) warns them about their money problems in a letter & he soon arrives to collect the property. They try to give him jewelry to delay the foreclosure but he tells them without hesitation it won’t be enough. He is persistent to take over the estate & keeps harassing the twins. Rachel stressed at the situation leaves the house & runs into Sean. She starts to break the rules of The Lodgers as her connection with him gets deeper. Edward pays the price for her betrayal & it leads to a dangerous confrontation between the siblings!!!! The Lodgers had a great atmosphere & haunting visuals. It reminded me of something that Hammer would do so it definitely had that vibe to it. It’s a very isolated feature besides a few characters showing up every once in awhile. I am not going to lie, you are going to have to be a very patient person to finish this all the way through. This is the definition of the slow burn. If you ever heard or used that term then you know exactly what you are getting into with this film. The character development & build up is excellent. Besides a few very small flashes of creepiness & what’s to come that’s all you get in the first 60 minutes. Some of you reading this right now are probably already thinking this one isn’t for me without even giving it a chance. I know these days more of the audience expects non stop action, thrills, & entertainment but sometimes it’s worth the wait. I am telling you right now that The Lodgers is one of those exceptions. It’s a very mysterious production that keeps you wondering what’s going to happen next & what exactly is wrong with this house? The last 30 minutes in this makes up for your patience. It rewards you for taking in the story & learning about the main characters plus their history. Instantly I want to watch it again, the 3rd act is really strong & it doesn’t hold back at all. Everything about The Lodgers is quality, it takes me back to the older days of horror with it’s Gothic surroundings. Let’s talk about the high definition presentation from Dread Central Presents & Epic Pictures. This 1080p (2.39:1) looks beautiful! It’s main location is the house & the inside really stands out. It’s shot really stylish through out the entire feature especially outside. 6 different audio options are provided for this disc which include English: DTS-HD Master Audio 5.1, English: Dolby Digital 2.0, Spanish: Dolby Digital 5.1, French: Dolby Digital 5.1, German: Dolby Digital 5.1, & Portuguese: Dolby Digital 5.1! It roared through my home system speakers & it sounds impressive! It really kicks in at the right moments in this. It also has various subtitle options like English SDH, French, German, Portuguese, Danish, Dutch, Finnish, Norwegian, Romanian, & Swedish. 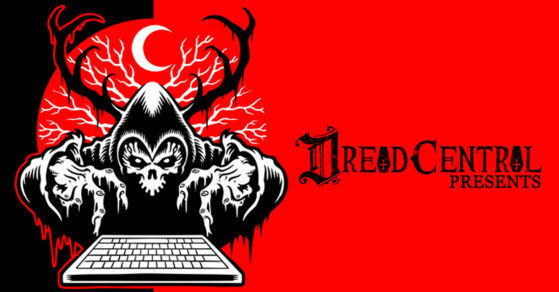 Let’s discuss the special features on this Dread Central Presents & Epic Pictures release. “Behind the Scenes” is 22 minutes & it shows you the making of this production. It has interviews with the cast & crew from the set. It covers the the origins, the story, locations, characters, & various other subjects concerning the film. Besides all of that it offers a decent amount of behind the scene footage hence the name of the actual featurette. “Deleted Scenes” is about 2 minutes. The two scenes featured are “Bathroom Scene” & “Bermingham Shop”. Last but not least, a T.V. spot & a Theatrical Trailer are included. It comes with a DVD copy of the release. If you are into Ghost story & haunted type of films then you are going to love this! I highly recommend this release from Dread Central Presents & Epic Pictures. The Lodgers is something that you are going to want to watch over & over just to catch something else that you didn’t notice the first time.